First things first, an announcement: Up until last week, we’ve been posting in both English and Japanese on our official Twitter account. To better communicate with our fans both here in Japan and all over the world, we’ve started a new account just for Japanese-language posts. 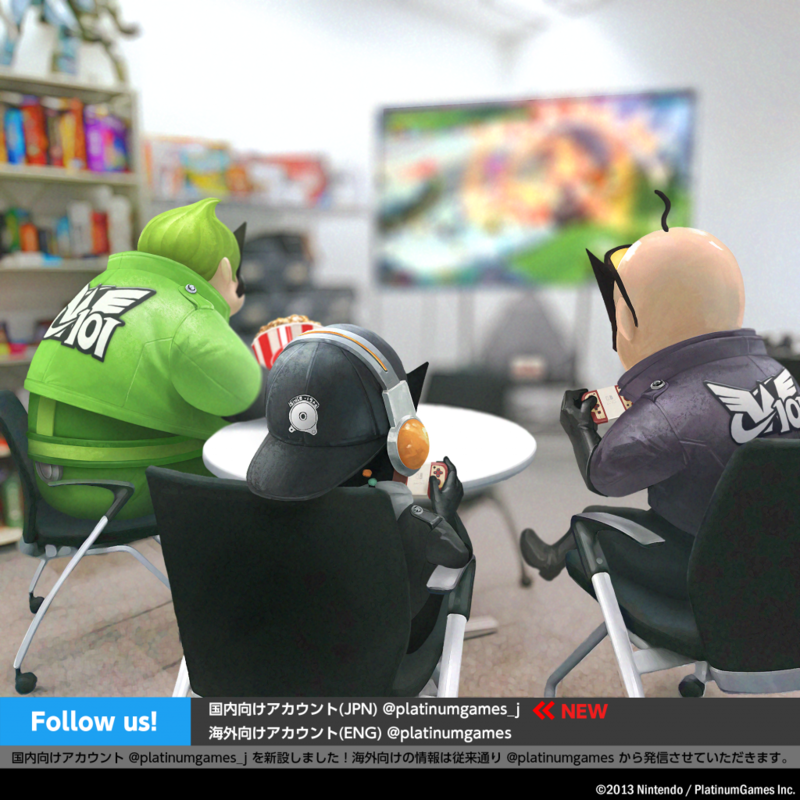 Of course, English-language posts will continue on @platinumgames. If that’s all you’re interested in, keep following! (You are already following us, right?) But if you can read Japanese, or if you’re looking for practice, feel free to give the brand-new @platinumgames_j a follow, too. This new beginning calls for a celebration! To inaugurate the Japanese account, we asked several PlatinumGames artists to create brand-new artwork based on titles from across our history. Check them out collected here! 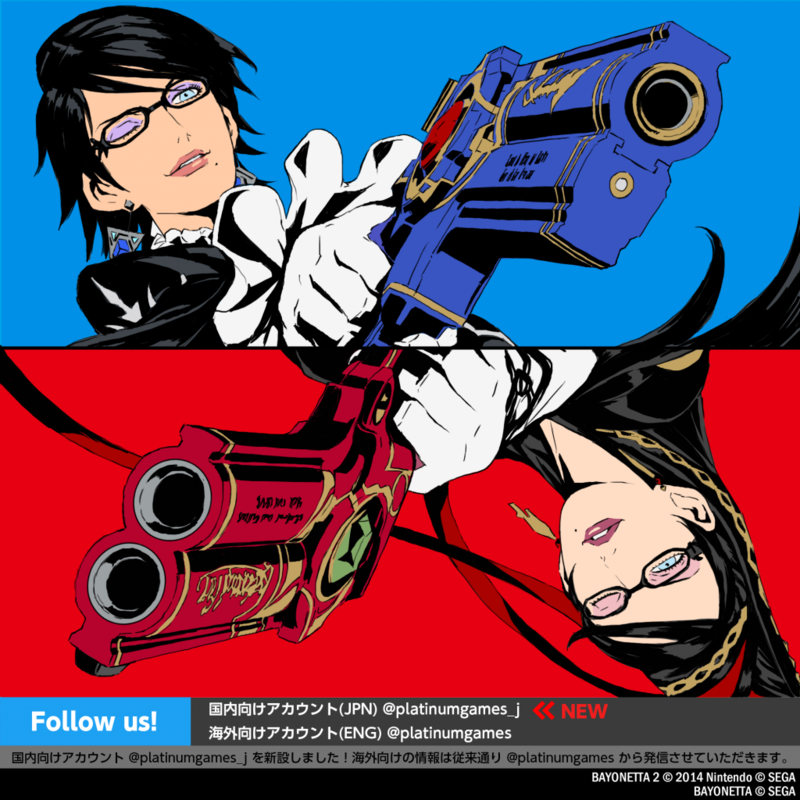 The very first Tweet opened the account with this much-discussed artwork of Bayonetta rocking hairstyles and handguns from both of her games. It was drawn by Bayonetta 2 director Yusuke Hashimoto. 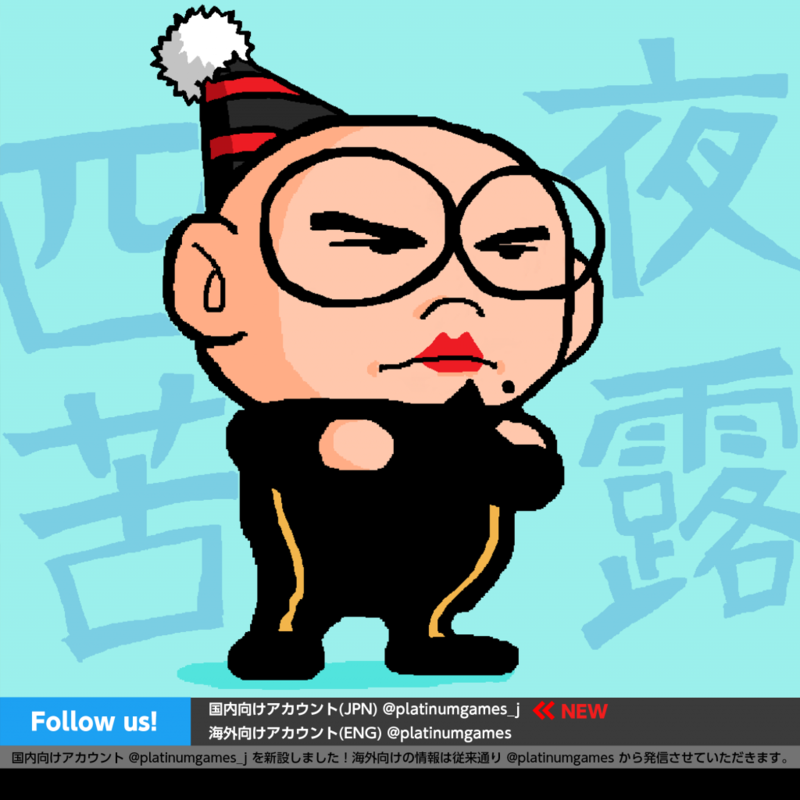 Not to be outdone, Bayonetta director Hideki Kamiya was right on Hashimoto’s heels with the lovely Kaminetta! 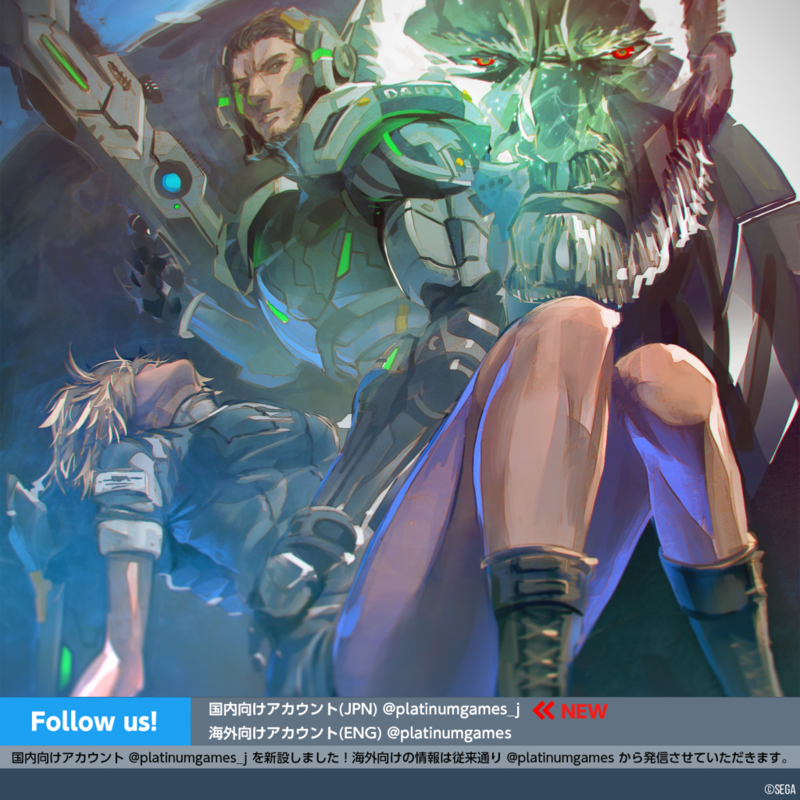 It’s been a big year for Vanquish – first came the PC version, then this new piece by character modeler Kenji Irie! 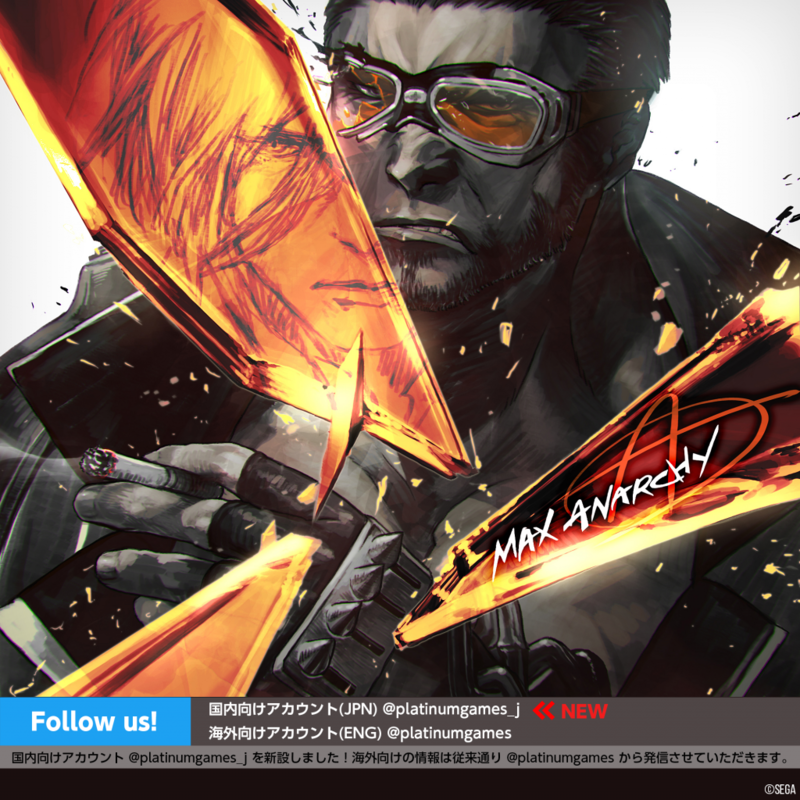 Fans of Anarchy Reigns (known as Max Anarchy in Japan) will enjoy this powerful close-up of Jack by artist Tomoko Nishii. Character modeler Eiji Funahashi turned a lot of heads online with this picture of Wonder-Black, Wonder-Green and Wonder-Director from (what else?) The Wonderful 101 kicking back and relaxing. The backdrop is a peek at our actual, real-world office game corner! Rui Onishi may be a UI artist – she designs user interfaces for our games, from heads-up displays to option menus – but she also loves drawing mecha! 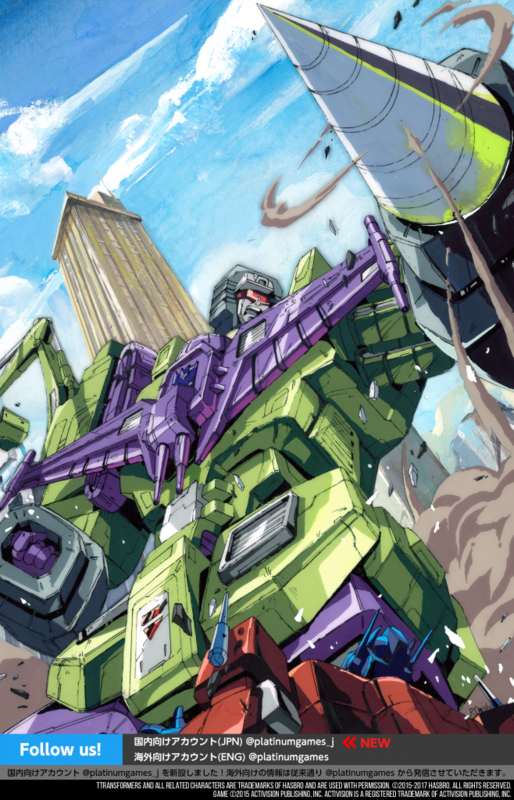 She made this artwork of Devastator towering over Optimus Prime from Transformers: Devastation. 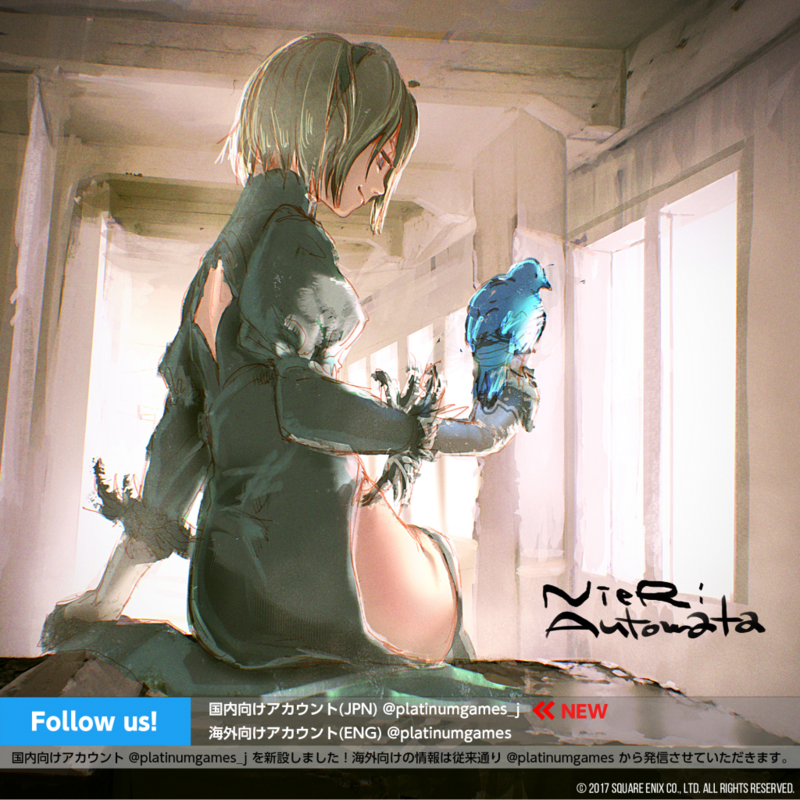 Last but not least, character modeler Hito Matsudaira drew 2B from NieR:Automata enjoying a peaceful moment. If you’ve played NieR:Automata, you’re already very familiar with Matsudaira’s work – he made 2B’s in-game model!